I’ve been on Facebook since early 2007, yet I just learned that it can be a great resource for finding used baby gear, children’s clothes and toys. I’m not talking about asking your Facebook friends if they have kids’ items to sell or if they’ll buy your old gear. Rather, it turns out that there are a host of hyper-local mommy groups on Facebook devoted mainly to the buying and selling of used children’s gear. Checking out these groups when you’re in the market to buy – or sell – used baby or kid gear is today’s hint, and it’s a tip I include over at U.S. New Money’s The Frugal Shopping blog in a post on 7 ways to find gently used and stylish baby clothes. Think of the groups as “a smaller version of craigslist/eBay but specifically for moms trying to sell their children’s clothes and toys,” says my friend, who tipped me onto these Facebook groups. So how you can find such a group in your neighborhood? Search Facebook for groups containing your local area and words like “Sell It,” “Mommy Swap,” “Swap and Sell,” “Swip Swap,” “Mom Swap” and “Yard Sale.” Moms chatting over at Baby Center have ideas for other search terms to enter to find the groups. You also can do a Google search for local groups as well and ask your friends (including those on Facebook) if they know of any such groups. 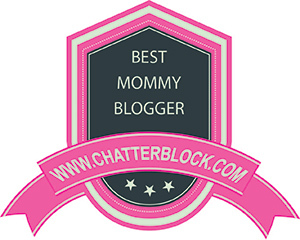 During a quick search on Facebook, I was able to find a host of such groups including “Sell It in Solon & Surrounding Areas” and “Super Mommy Swap of Bainbridge” in the Cleveland area; “Mommy Swap of Southern Indiana;” “Charleston Mom Swap;” and“East Bay Mom Swap.” The Scottsdale moms blog, meanwhile, lists some of these Facebook groups in in the Scottsdale area, here’s an article about a Facebook group in the Seattle area, and another about similar groups in the Vancouver area. Elsewhere, blogger Maman Loup’s Den lists a host of similar groups in the Montreal area. So how good are the deals available in such groups? My friend has bought and sold through her local sell-it and swap Facebook groups, and she says she has scored great deals on kids’ clothing and gear, including little crocs (they were free), a cute little swimsuit (for $2) and a Carter’s summer top and white-pant outfit (for $2.50). It turns out my friend isn’t the only fan of such groups. Laura Harders, aka Beltway Bargain Mom, in a Frugal Shopper blog post on 6 Simple Ways to Save on Sports Gear notes that Facebook “yard sale” groups “can be a great place to find used sporting equipment,” while blogger Thankfully Thrifty calls Facebook swap sites “a great venue for buying and selling used!” Elsewhere, money-saving guru Crystal Paine (aka Money Saving Mom) has sold items she no longer needs through such groups. But is buying and selling through such groups safe, you may be wondering? Well, first – we buy and sell from strangers all the time through sites like craigslist, and at least in these Facebook groups, you’re likely dealing with other parents in your very local community. In fact, to join one of these hyper-local groups, you generally really have to live in the neighborhood that the group is focused on, and sometimes you even have to be invited into the group. In addition, my friend says the sales often work like this: Most moms have bins outside their house. You just drop off the money in the bin and take the clothes out of the bin that you want to buy. Of course, the deals don’t always work this way – sometimes they happen at public locations, as described in this Florida local news article, which also points out another bonus of the groups. They can be a great way to meet friends. So what if you can’t find such a group for your area? Local mom groups not tied to Facebook (like the Golden Gate Mothers Group in San Francisco) can be great resources for finding gently used baby gear as can local parenting email listervs (in addition to their helpfulness in finding great caregivers). There also are a host of Web sites and events devoted just to swapping old baby gear. The site Mom365 has a good roundup of these swap sites and Double Dutchery is another such site to add to the list. In addition, Little Swappies is a swap resource New York parents should consider checking out. Finally, read about more resources for scoring gently used and fashionable baby clothes in my full piece over at The Frugal Shopper blog. Share your experiences with these Facebook groups, as well as your tips for finding gently used baby and kid gear, below.